Kareena and Saif, along with their little one, were spotted at the Mumbai airport today. 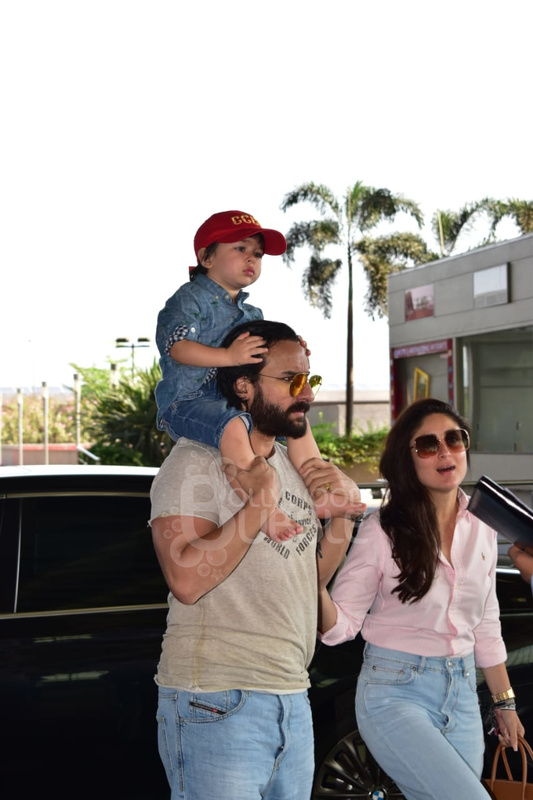 As summers have started, Kareena and Saif are going for a family vacation with their munchkin. Little Tim was seen piggybacking on his dad Saif's back. 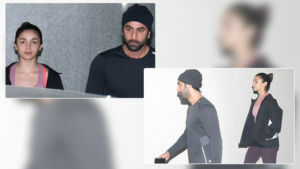 Saif and Kareena were seen in partly colour coordinated outfits while Taimur rocked in his denim attire with a cool red cap. What caught our attention was that the trio were in blue denims. They have set family goals by spending quality time with each other. Kareena and Saif make sure to be with Taimur whenever they are free from their hectic schedules.